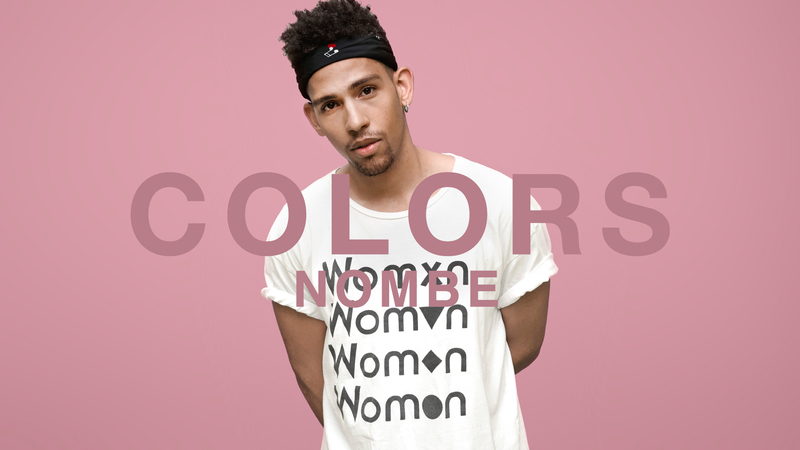 NoMBe performs “Freak Like Me” in the debut video of WeTransfer’s partnership with German YouTube platform COLORS. WeTransfer has teamed up with COLORS, the Berlin-based music platform with the mantra “all colors, no genres.” Through its hugely popular YouTube channel, COLORS challenges the traditional music landscape while showcasing the most exciting up-and-coming artists. Over the coming months, WeTransfer will be presenting a series of special sessions recorded at the COLORS studio in Berlin’s Funkhaus - a former GDR broadcast center built in the 1950’s, overlooking the River Spree in Berlin’s east. WeTransfer will showcase one artist each month on the full-screen background ‘wallpapers’ on WeTransfer.com. These will be visible to platform’s more than 40 million monthly users, of which 75% work in creative industries. The videos will also be hosted on WeTransfer’s editorial platform WePresent alongside an exclusive editorial piece about the featured artist. "The team at COLORS has done an outstanding job of taking a simple concept and executing it at a superlative level. Their incredible taste in music and commitment to showcasing it in its earliest stages, within this compelling visual identity, made it the easiest of choices to find a way to work together on a regular basis. We hope to take the fantastic work they are already doing and add the scope and scale of WePresent and the WeTransfer platform as a whole. We’re beyond excited about what’s to come moving forward." In the first episode, we’re talking creative restlessness and celebrity godmothers with Caribbean-German artist NoMBe. The feature can be found on WePresent here: we.tl/colors-x-nombe. For additional assets or to arrange an interview with Jamal Dauda about the partnership or WeTransfer’s role in music, please email Søren Nielsen on soren@wetransfer.com.